Due to the fact that Helmeringhausen is situated on private land it is not officially recognized as a town nor does it have a governing body. 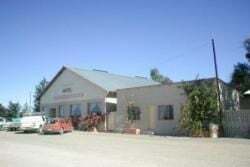 A member of the German Schutztruppe proclaimed the farm and to this day it maintains an atmosphere of Namibian German culture with a small airfield, filling station, a general store as well as the picturesque Hotel Helmeringhausen. Roads from Helmeringhausen lead to Sossusvlei, Lüderitz , the Fishriver Canyon and Sesriem and the settlement is a welcome retreat in the Namibia outback.